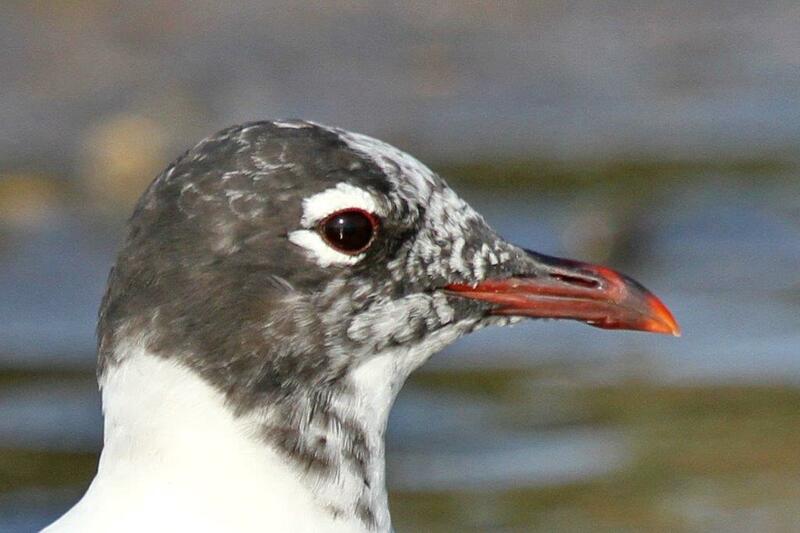 BirdLife Port Natal participates in a number of publicity outreaches throughout the year, with the goal of raising awareness of birds and their conservation, of what birding means and how BLPN manages its many activities. It is also an opportunity to talk to interested people, recruit new members, provide the public at large with information on topics as diverse as attracting birds to gardens, supporting raptor rehabilitation and giving adults and children alike the opportunity to experience the beauty of our birds through posters and presentations. 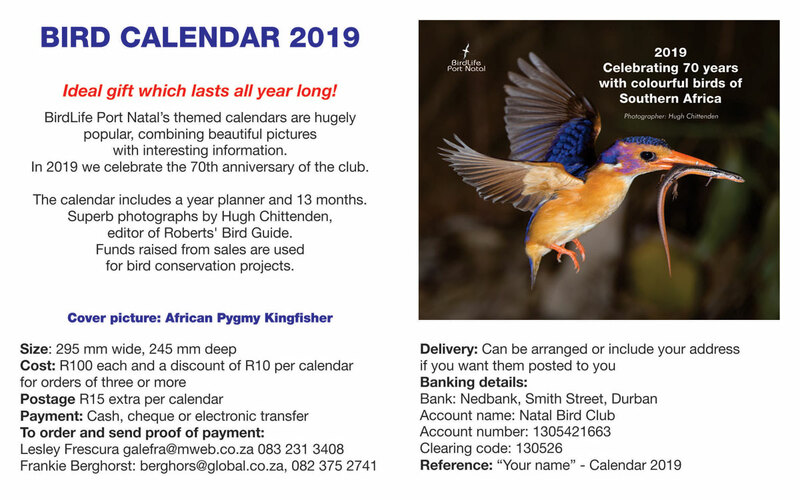 We are always supported by club member volunteers, who donate their time and expertise to either attending at our stand, or talking on the radio about birds or doing something on powerpoint to show what our club and the greater BirdLife South Africa is busy with at any point of time. Indeed, it is the only thing that ever has”. Margaret Mead. Please email: Arnia van Vuuren; tel: 083-271-2919 / 031-466-4019 or alternatively Lesley Frescura; tel: 083-231-3408 / 031-266-4150. Setting up the stand at one of our outreaches is hard work. Merle and Flick get down to it in very windy conditions at the Kloof Indigenous Open Gardens, 22 June 2013. 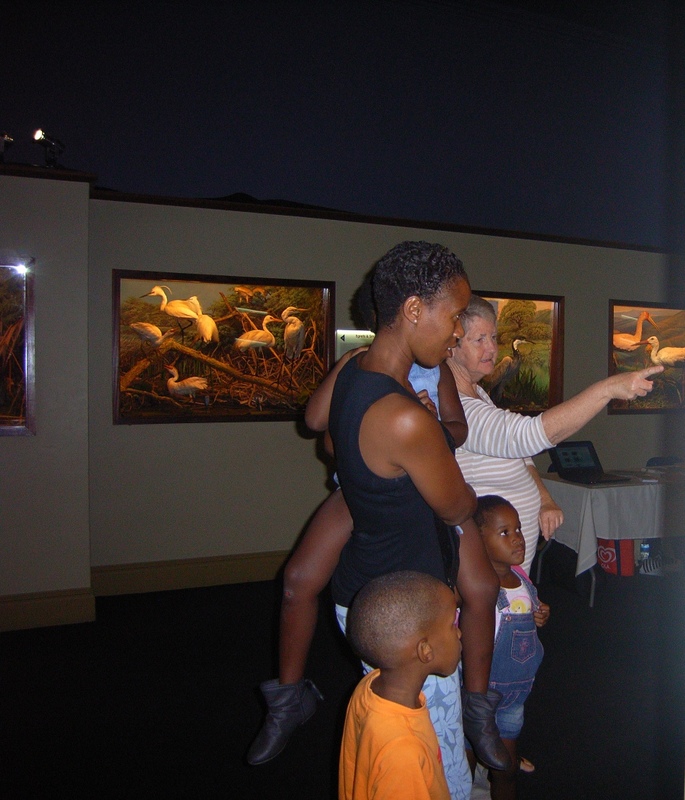 Rhona Brown enjoys one of the dioramas with a mom who brought her kids to enjoy what the Durban Natural Science Museum has on offer, KwaNunu April 2013.